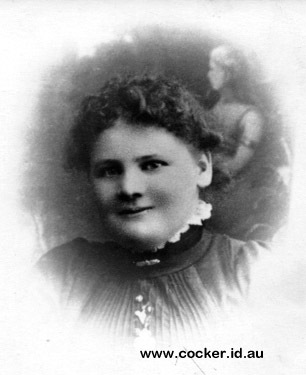 3-Ellen Allicoque (Nell) Crothers was born on 4 Feb 1883 in Brighton, Tasmania, was christened on 7 Mar 1883 in St Matthews Church, Brighton, and died in 1920 in Melbourne, Victoria at age 37. Ellen married Edward Layton on 8 Feb 1910 in Holy Trinity Rectory, Westbury, Tasmania. Edward was born in 1875 and died in 1943 in Collingwood, Victoria at age 68. They had four children: Roma Kathleen, Beulah Lillian, Melvie Amber Coralie and Brighta Edwina Desire. 4-Roma Kathleen Layton was born in 1914 in Traralgon, Victoria. 4-Beulah Lillian Layton was born in 1915 in Traralgon, Victoria and died in 1973 in Preston, Tasmania at age 58. 4-Melvie Amber Coralie Layton was born in 1918 in Morwell and died in 1936 in Melbourne, Victoria at age 18. 4-Brighta Edwina Desire Layton was born in 1920 in Traralgon, Victoria.